Walking in trash, India submitted to the assignment ‘Built to Walk’ on National Geographic. Kristian Bertel has contributed to the National Geographic Your Shot photo community with an assignment called ‘Built to Walk‘ curated by John Stanmeyer a National Geographic contributing photographer and Paul Salopek a foreign correspondent and a National Geographic fellow. They are both questioning why do we move as human beings and what makes human beings seek out new horizons. And for the assignment they want us to find an original, meaningful, artful way to capture the true essence of human migration or movement, one of the defining qualities of being human. Today, across much of the world, the answers to these questions are often tragic where poverty, climate change and profound social disruptions caused by new technologies have pushed millions of individuals into nomadic lives of extraordinary hardship. Think of people who have left the countryside to pour into cities, seeking better lives. It is estimated that more than 240 million people now live outside of their places of origin. Today, we truly inhabit an era of human migration. That said, not all human migration is either epic in scale or heartbreaking. People move for many positive reasons, too and sometimes just a few city blocks away. In thousands of towns and cities, billions of us engage in micro-migrations to work and back every day. For the past three years, John Stanmeyer and Paul Saloptek have been working on a project that is focused on human migration, old and new. The project, called the Out of Eden Walk involves walking across the planet for almost a decade in the footsteps of the first human ancestors who discovered the world. As John is saying it: ”- Everyone has a story. Lasting. Ephemeral. Poignant. Lyrical. Everywhere abounds a message, most often a message that guides, nurtures, expands us as individuals and as a collective humanity. As each of us in the National Geographic Your Shot community embarks on this astonishing journey through storytelling, the curating photographer wants us to let go. Let go of preconceived notions about ourselves, the world around us. Focusing further into what is not directly seen, but is felt. Take risks. There are neither boundaries nor limitations neither in art, life nor in hope. The only boundary is that we choose to confine ourselves in. Look past the ordinary, embracing the extraordinary. Meander through markets, back alleyways. Feel and entwine within everyone you see, visually sharing the messages and moments that take place, right before each one of us. Walk up to anyone and everyone you meet. In kindness, ask them if you can take their portrait”, he says. 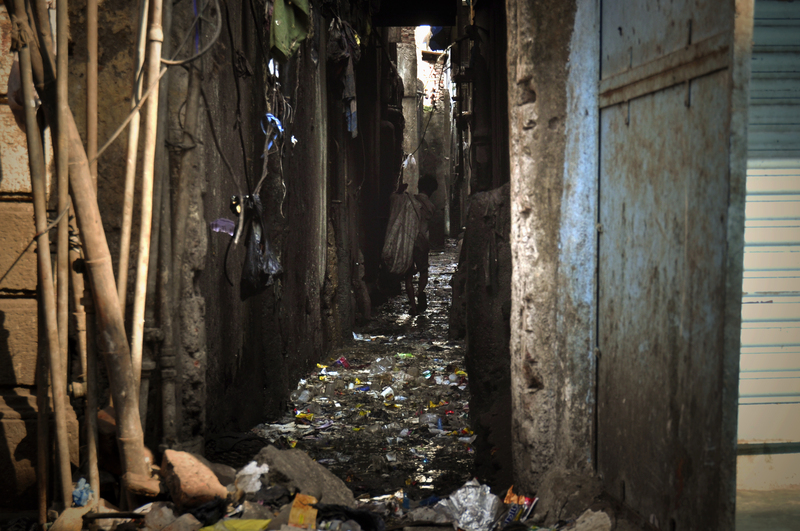 The photographer chose to submit a photograph of an Indian man walking in trash in Mumbai, India, where he is seaching for things with any value. High population growth rate is one of major reasons of poverty in India. This further leads to high level of illiteracy, poor health care facilities and lack of access to financial resources. Also, high population growth affects the per capita income and makes per capita income even lower. It is expected that population in India will reach 1.5 billion by 2026 and then India will be the largest nation in the world. But India’s economy is not growing at the same pace. Number of poor will keep on increasing if such a big number of jobs will not be created. Ever increasing prices of even basic commodities is another reason of poverty. ”- Thirty years ago, India was home to one-fifth of world’s poor but now it is a home to one-third of poor people. This means that India now have more poor as compared to thirty years ago. I think the problem lies with the unorganized sector as owners do not bother the way their workers live and the amount they earn. Their area of concern is just cost-cutting and more profit. Because of the number of workers looking for a job is higher than the jobs available, unskilled workers have no other option but to work for less money. Generally, I think poverty should be eradicated from India as every person has the right to live a healthy life”, Kristian Bertel says.